The Pork Chop Griller Biscuit is back at participating Bojangles' restaurants for a limited time this fall. The returning menu item features a pork chop marinated in a zesty dry rub and then seared and placed between two halves of a buttermilk biscuit. 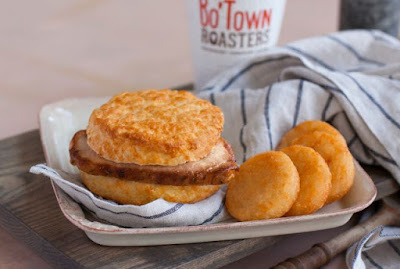 You can order the biscuit sandwich by itself or as part of a combo with Bo-Tatos Rounds and a beverage of your choice.